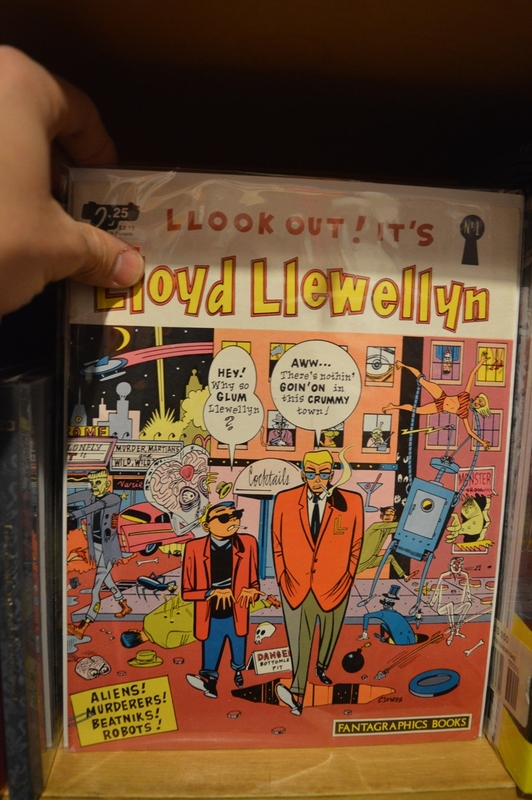 Do you remember the Hicksville‘s lighthouse, where there is a collection of comics so impressive to include unpublished works of cartoonists as Jack Kirby, Harvey Kurtzman and Wally Wood? The Beguiling is the place more similar to that gigantic library I have seen so far. 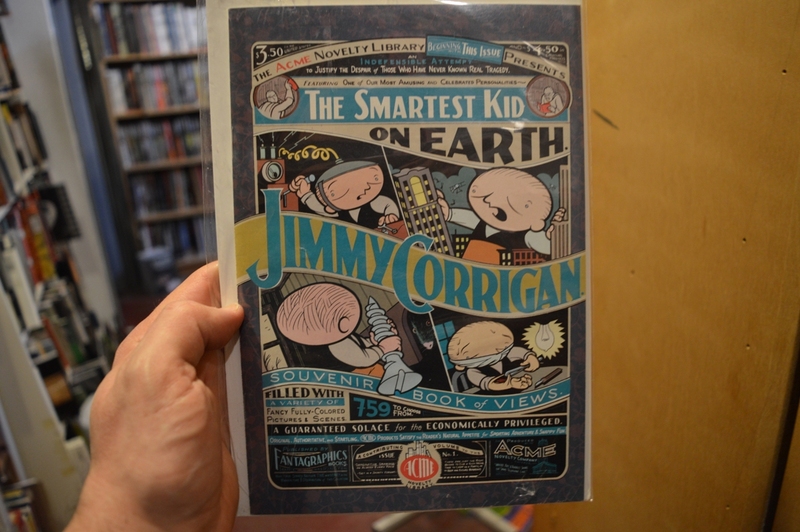 Well, I haven’t found a comic by Federico García Lorca and Pablo Picasso, as the character of the Dylan Horrocks’ book did, but the Toronto store is really packed with obscure and hard-to-find material. 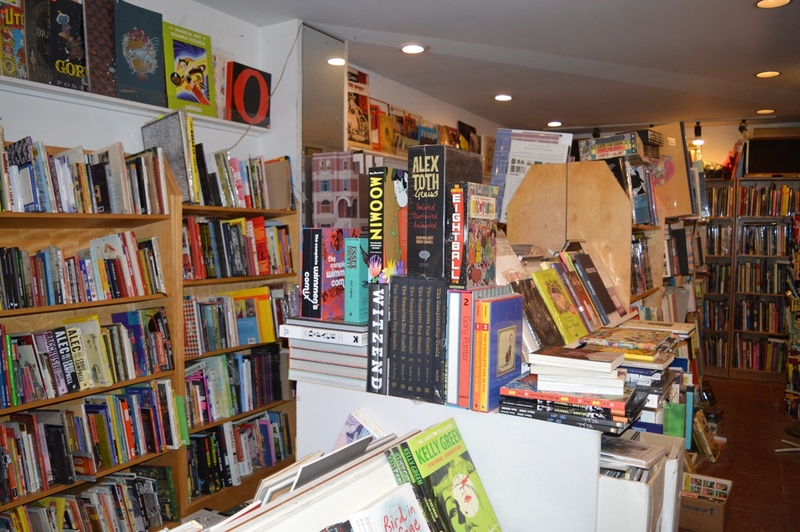 I have visited it last May in the days of the Toronto Comic Arts Festival, an event that the owner Peter Birkemoe, along with the manager of The Beguiling Christopher Butcher, helps organize since the foundation in 2003. 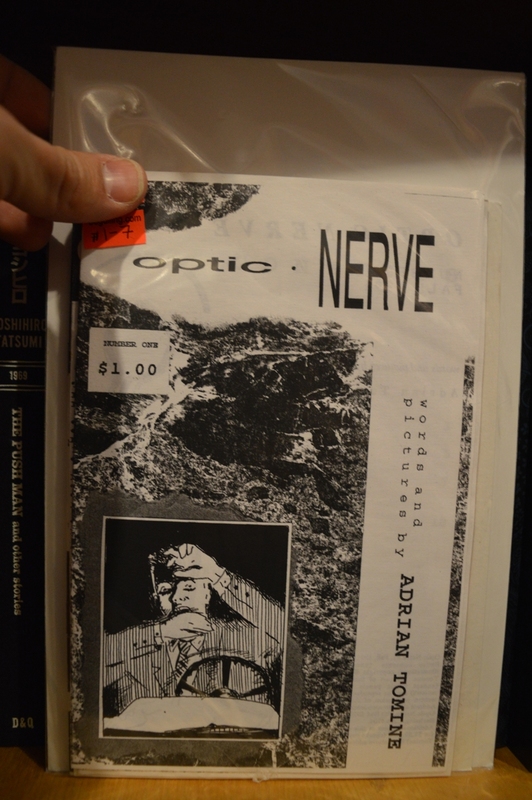 And I had the opportunity to spend several hours in the store, looking carefully through its huge catalog. The store is developed on two floors. 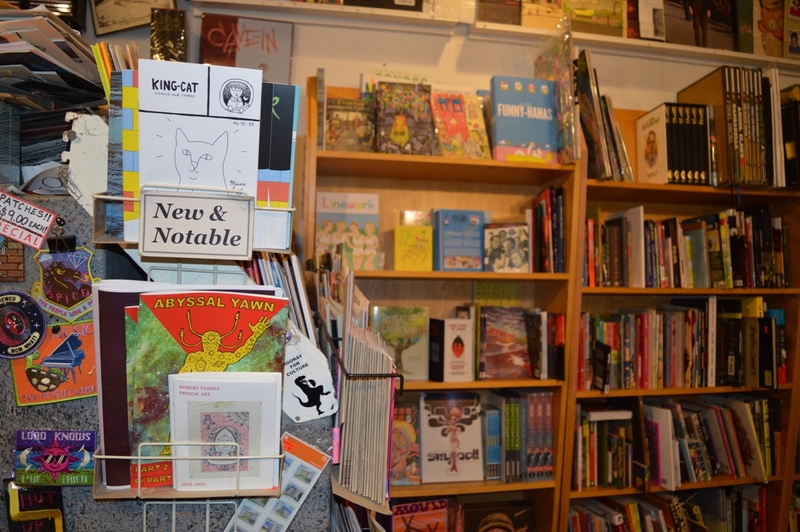 The first showcases on the central counters the new arrivals in the world of indie, arty and underground comics, with the latest graphic novels from publishers like Fantagraphics, Drawn & Quarterly, Koyama Press, Conundrum Press, Retrofit Comics, Alternative Comics, New York Review of Books, Space Face Books, Landfill Editons, Breakdown Press and so on. 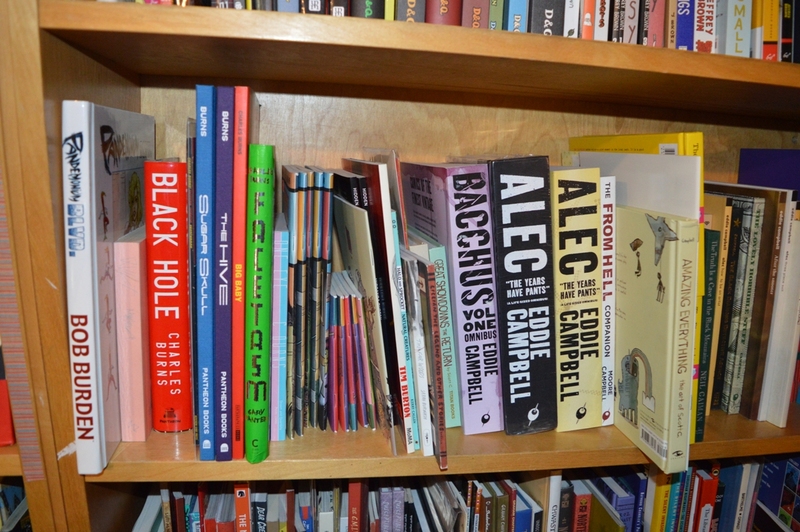 The books of the catalog are on the shelves, organized alphabetically by author. 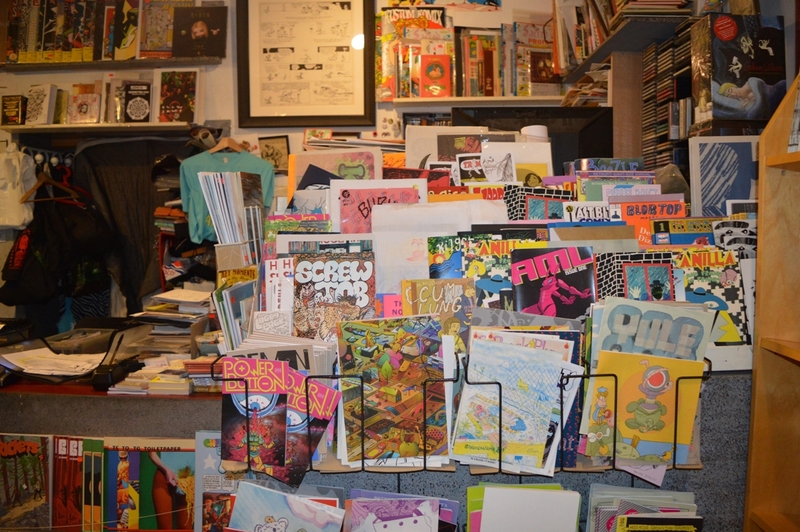 This is the most interesting part, with many rarities coming from the store’s backlist or purchased from fans and private collectors, like several issues of Raw, rare Gary Panter’s comics, Multiforce by Mat Brinkman, publications from the underground era, old collections of newspaper strips. Here are some pictures with a few valuable pieces, chosen according to my personal inclination, partly on the advice of Birkemoe and a bit randomly. 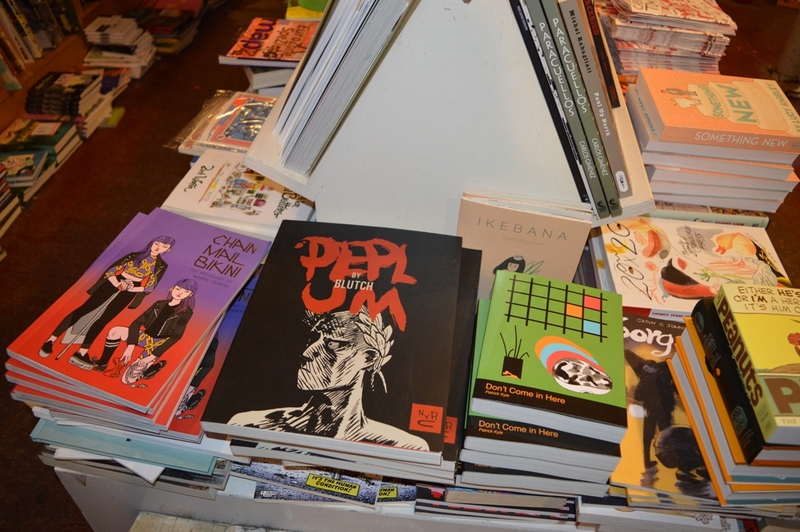 The selection of contemporary comics, minis and magazines is a good representation of the “scene” of recent years, with a lot of books that can’t be displayed in the store. 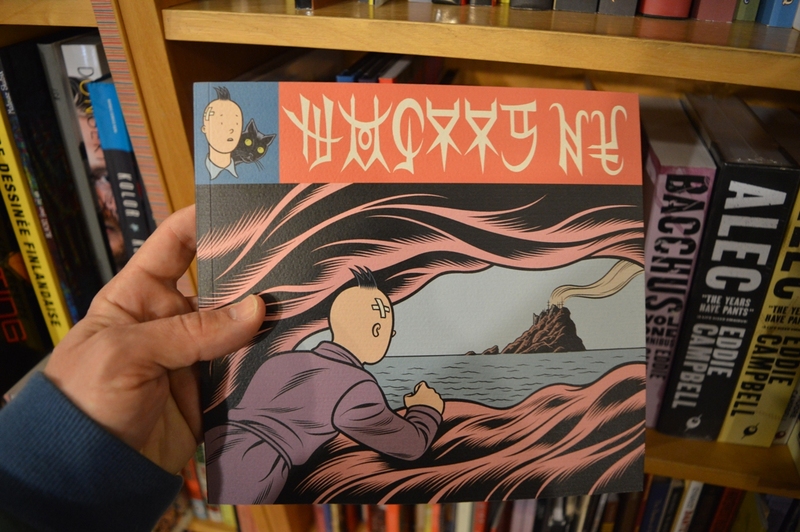 When I found an issue of Maré Odomo’s Internet Comics published by Sacred Prism, it came to me I missed from the same series Kickfoot, a 16-page mini-comic by the Norwegian collective Dongery, released in 2014. When I asked Geneve, one of the employees of The Beguiling, she went in the archive and she came back within two or three minutes with the book in hand. 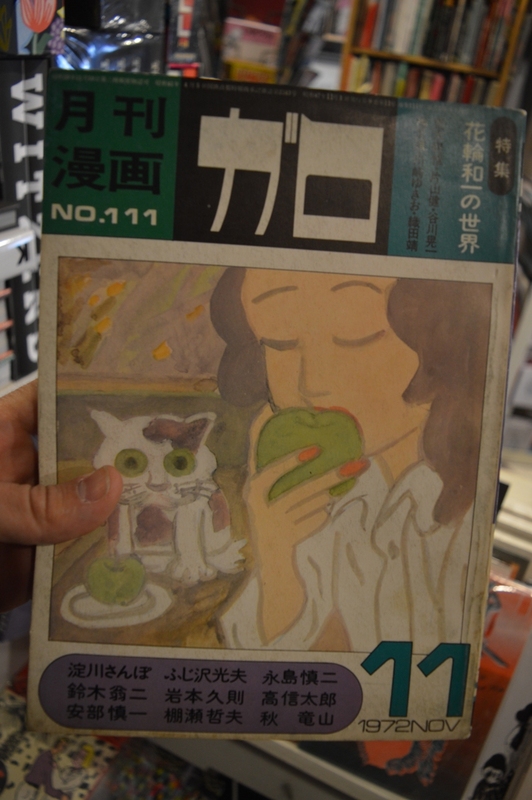 I must also mention the section of illustration books, the well-stocked anthologies bookcase and the rich selection of French and Japanese titles, with several original editions. 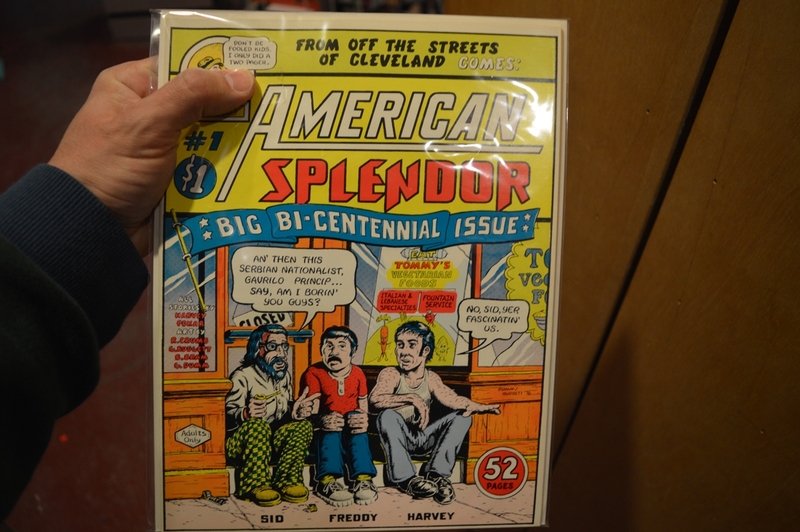 If the ground floor is a real treat for arty and undeground comics fans, the upper floor is devoted to the mainstream and looks more like the traditional American comic book store. 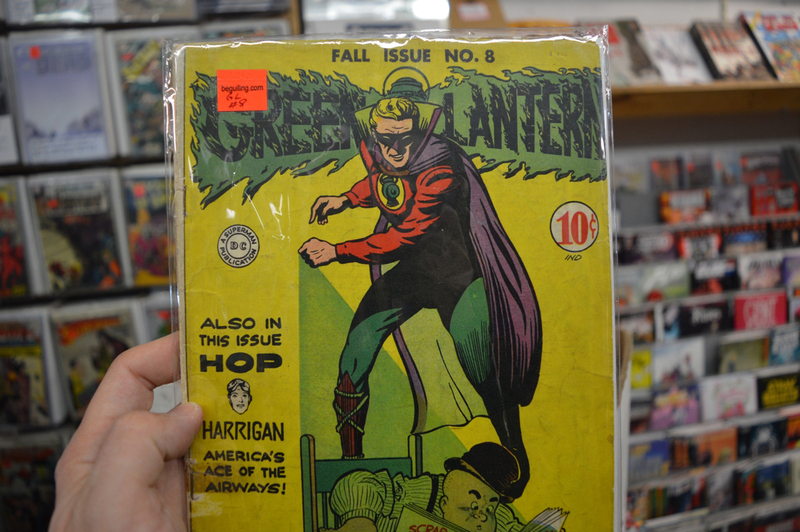 We find there Marvel and DC superheroes, with many vintage titles for collectors, and the publications of indie imprints like Image, Dark Horse, Avatar and so on. 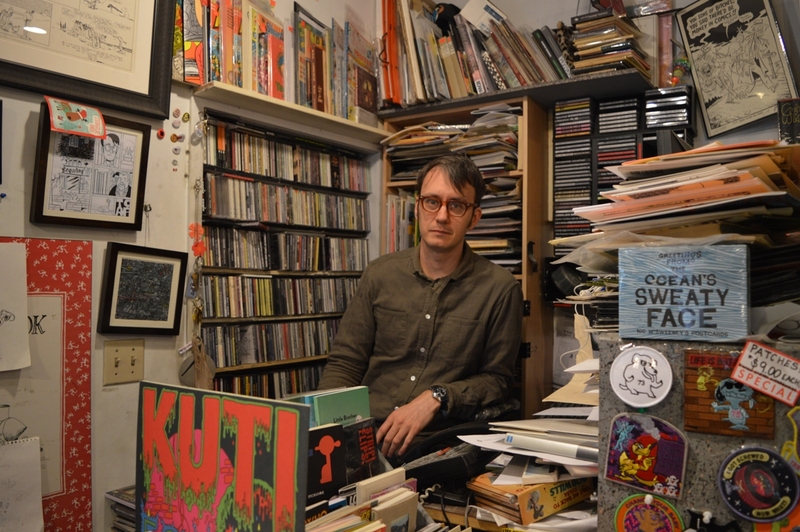 Even this selection is very accurate and gives particular attention to the indie scene. 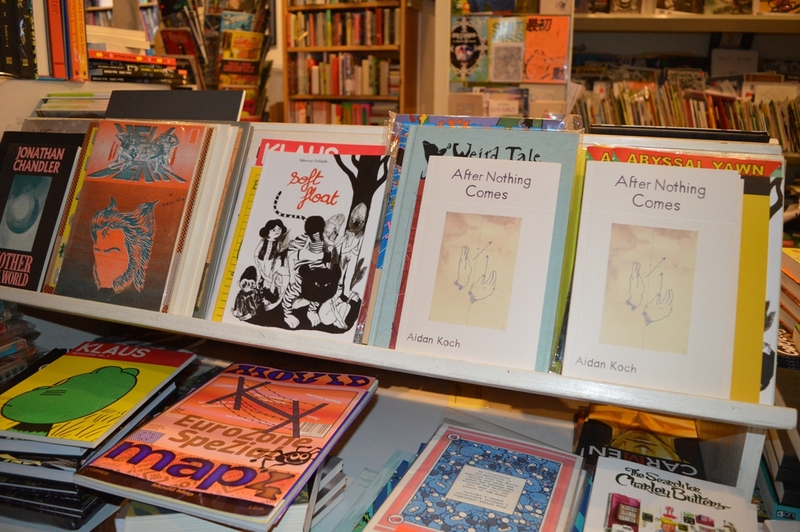 There are also author sections for creators like Alan Moore or Neil Gaiman, confirming that the shop is completely aimed at a mature and knowledgeable audience. 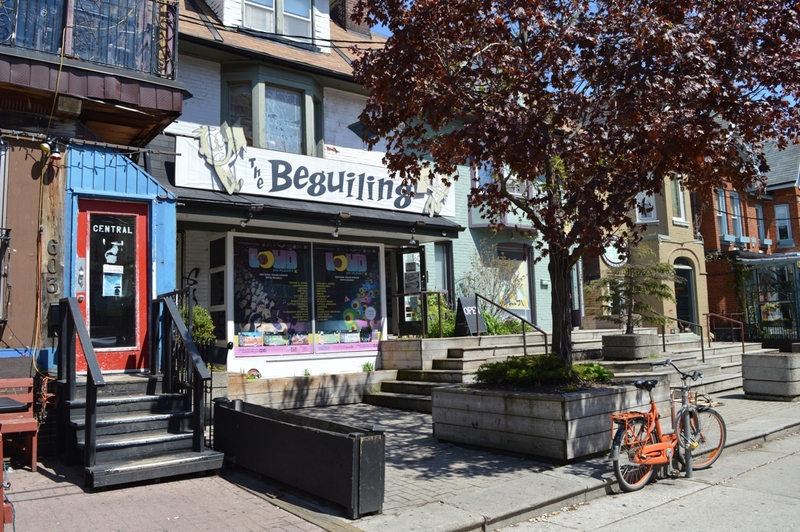 The Beguiling is also well known for its original artwork store, that sells pages and drawings by artists such as Sammy Harkham, Kevin Huizenga, Seth, Michel Rabagliati, Shintaro Kago, Brandon Graham, Farel Dalrymple, Jason Lutes, Jeff Lemire, Paul Pope, Eddie Campbell and many others. 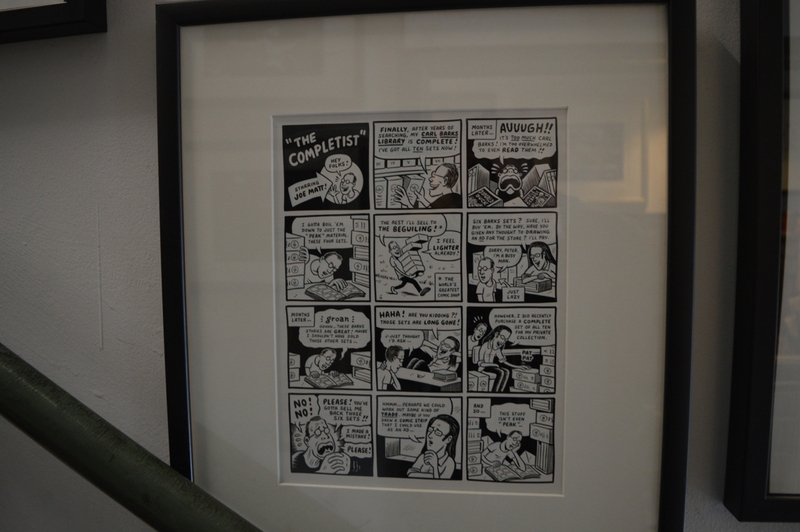 A few pieces from the private collection are exhibited on the walls. 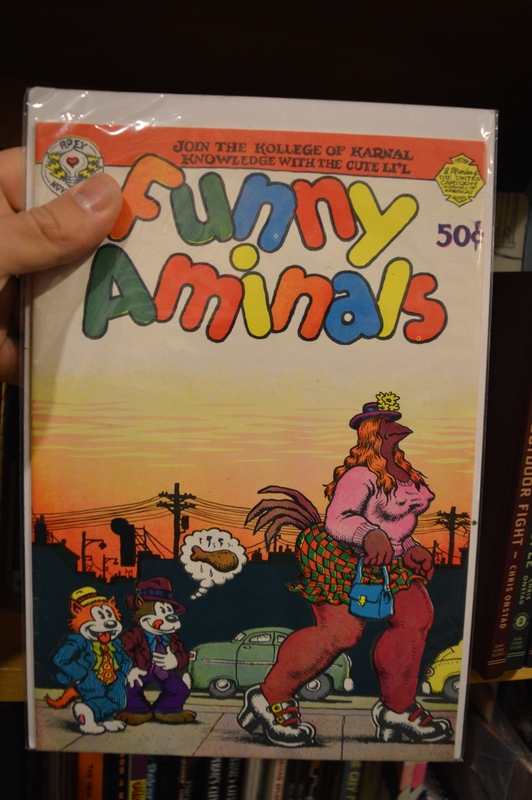 I’ve taken pictures of the first page of Cerebus #23 from April 1978, with a familiar title, and of a Joe Matt’s page that depicts the cartoonist, a well-known fan of old comics, heading to The Beguiling to sell some Carl Barks’ complete sets. 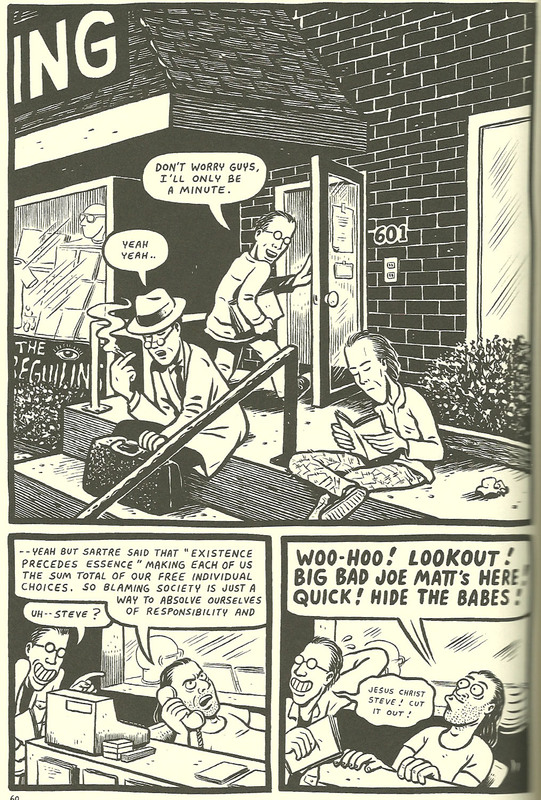 And speaking of Joe Matt, there is another page from Peepshow #3 depicting first him and his colleagues Seth and Chester Brown out of the store and then Matt inside talking with one of the first owners, Steve Solomos. 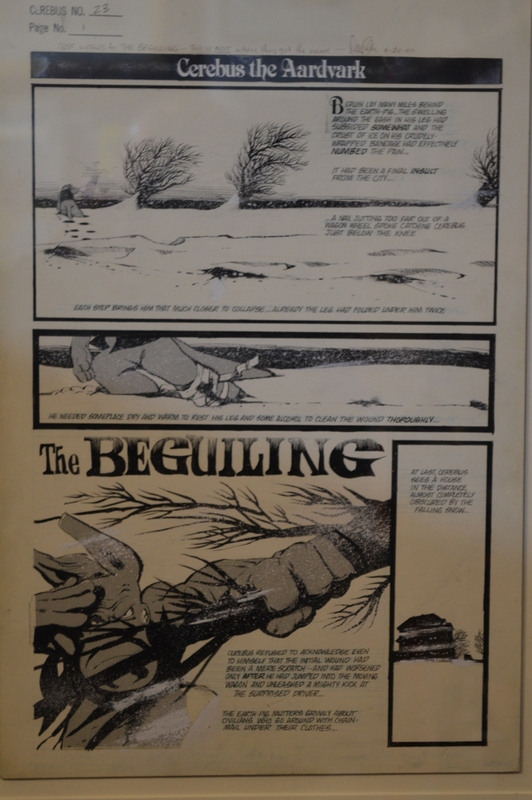 The Beguiling was in fact founded in 1987, while Birkemoe took over in 1998. 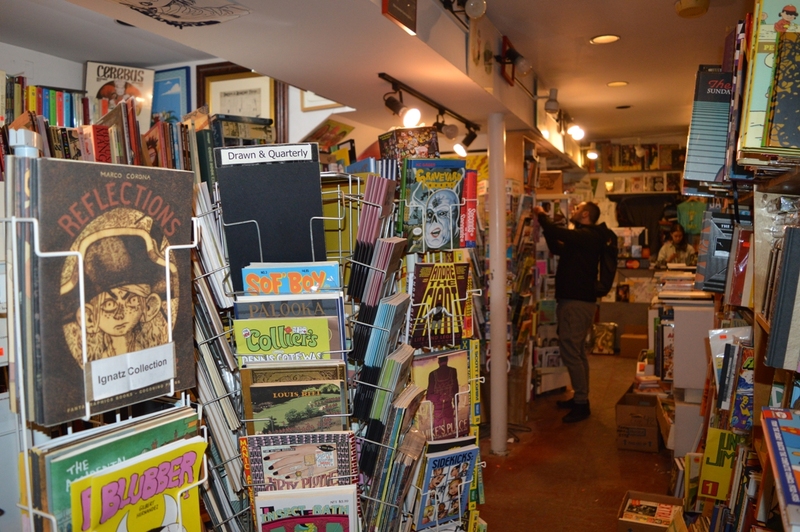 During my visit, Birkemoe told me he is looking for a new and more spacious location, in order to display the whole catalog and to acquire more comics. 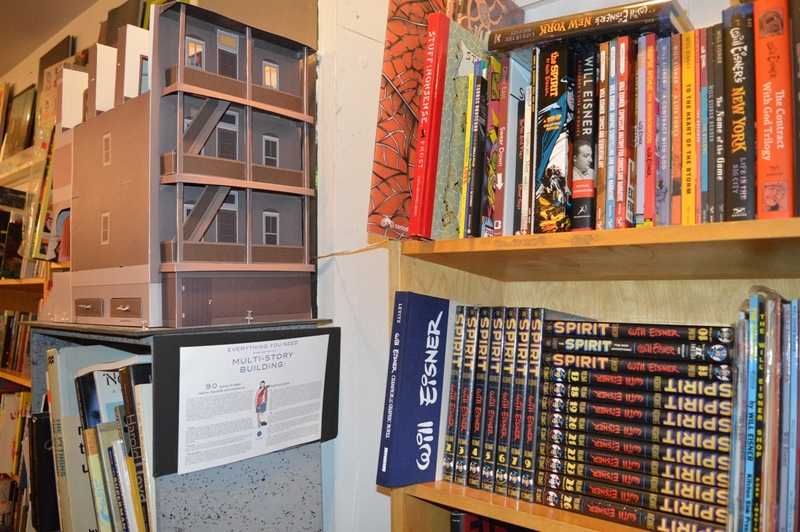 If you are in Toronto, then, you have to visit the shop at 601 Markham Street, because it could be one of your last opportunities. 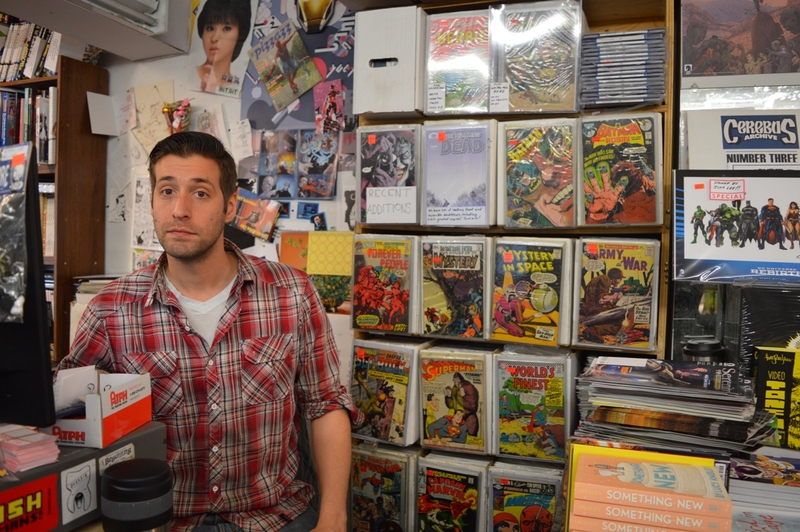 As Jeet Heer wrote a few years ago on Comics Comics, I don’t know if The Beguiling is the best comic shop in the world, but for sure it is the best one I have visited until now. And it definitely deserved my humble attention.